A small bus with limited seating for 20 will be available and leaving from 1025 Maxwell Lane at 8:00am. If you are interested please RSVP to me at hoboken2nd@gmail.com, it will be on a first come first serve basis. Please arrive at the bus at 7:45 am. We expect the meeting to go until about 11:00am and the bus will bring people back to Hoboken. Mayor Bhalla is expected to join residents on the bus. We need a crowd at the NJ Transit Ad Hoc Board meeting tomorrow (Monday January 15) at 9am! 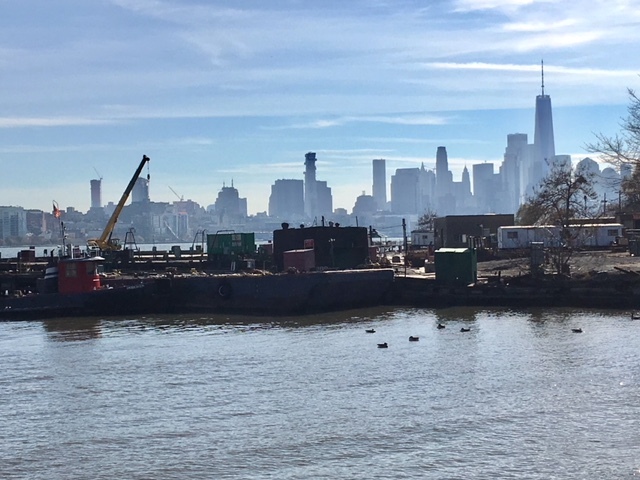 Mayor Ravi Bhalla has informed us that he believes a large crowd of Hoboken stakeholders will make the difference in the outcome of the meeting. Hoboken Union Dry Dock - Stop the sale to NJ Transit say Hoboken residents and politicians. Please join us and let me/us know that you are going by emailing me and or by RSVP'ing "Going" to the Hoboken Residents for a Public Waterfront FB Event (for those on Facebook). At this time I am aware that I will at least be joined by Mayor Bhalla, Council President Ramos, Council Vice President Giattino, leaders of Fund for a Better Waterfront​, members of Hoboken Residents for a Public Waterfront​ and several other neighbors and community leaders. I have not yet confirmed with other council members but am hopeful more will attend. Mayor Bhalla sent an "all hands on deck" request to all of us on the City Council. There are politics behind this meeting and this vote with pressure from our outgoing Governor to pass. But that by no means guarantees that it will. Opposing politics from our incoming Governor contributed to twice rescheduling the meeting due to sudden lack of quorum. Here are a couple of articles on this - NJ.COM and APNEWS. What a further delay or a “No” vote gets us is more time. More time to respond. More time to get in a room with all stakeholders. More time to defend our waterfront. And more time to try to work out a solution that allows us to complete our waterfront park plan that has been underway for three decades and at the same time supports further expansion of critical ferry service. It is reprehensible that we have to consider attending on a day we should be celebrating MLK especially in the current political environment. Thank you Governor Chris Christie! ​NJT headquarters are located in downtown Newark's One Penn Plaza and is easy to get to. If you are driving - I would plan up to 30 minutes but it will probably will take 20 tomorrow. There are two parking lots across and next to the building. If you are taking the PATH, Newark Penn Station is across the street. Please call me (201-208-1674) or email me at hoboken2nd@gmail.com if you have any questions or to let us know you will be attending.